MGB is a leading company for high performance connectors and precision turned components. Since more than 20 years MGB has been producing many components and assemblies for all types of coaxial connectors, BNC, TNC, SMA, SSMA, SMB, SSMB, SMC, MCX, MMCX, QMA, SMP, TRIAX , QUADRAX, and also for fiber optic and power contacts. MGB is machining all kinds of raw materials used in the connector market : bodies in Brass, Amagnetic Brass, Arcap, Aluminium, Titanium and Stainless Steel, Male and Female contacts in Brass, CuBe, C97, BZ4 and Insulators in PTFE, Delrin, Peek or Ultem. Packaging : manual or semi-automatic packaging machines, bar codes, plastic bags, boxes or special trays. Plating : MGB deals with french or US partners which are approved by all the biggest connector manufacturers. 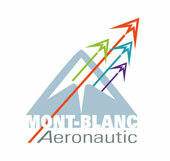 MGB is a member of cluster Aero Rhone Alpes Auvergne.